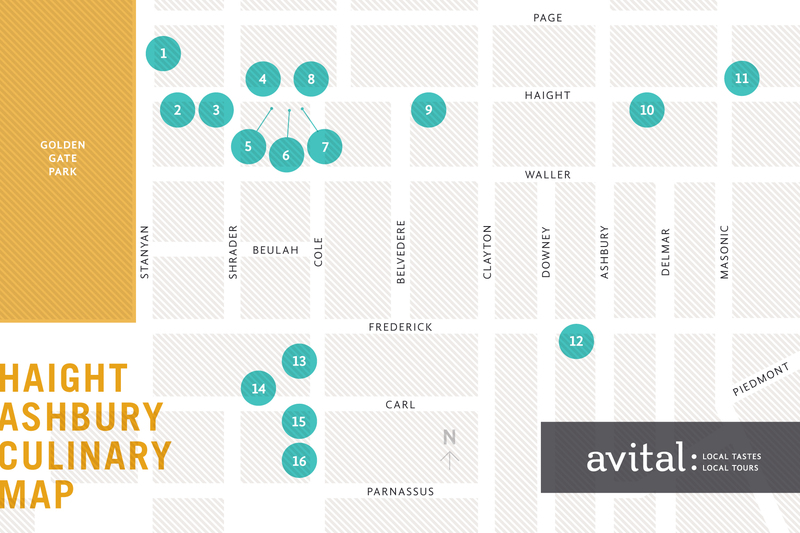 Avital Tours is a name I had heard before — but not until she contacted me about a media tour of The Haight had I considered actually joining a tour. But, since I know surprisingly little about the food scene in The Haight, and I wanted to experience one of these famed food tours, I happily accepted. The tour took place on a bright, sunny day with eight or so other bloggers. Avital herself was there, but another local foodie and food writer, Virginia Miller, was the guide. The tour was three hours long and took us walking in a relatively small area while providing information about a variety of non-food-related historical facts as we made our way to five food and drink establishments. 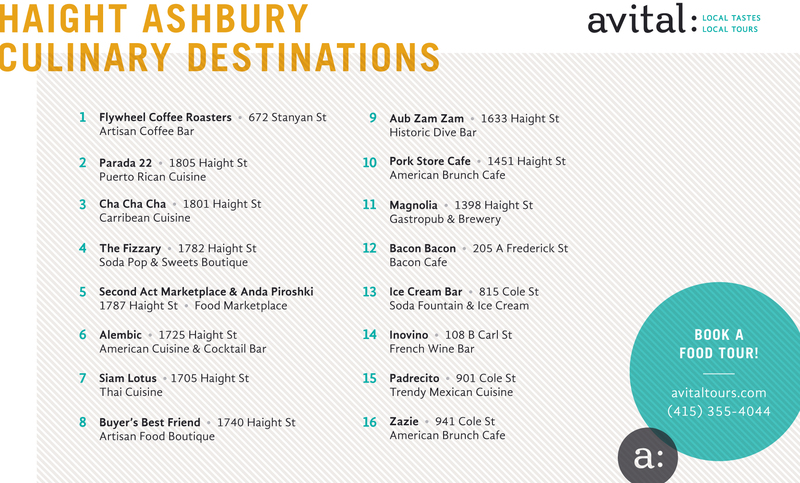 A fun little map of the Haight provided by Avital is shown above (click to enlarge); the five stops we experienced are described below. Oh! I just happened to see that Full Circle is having a LivingSocial deal right now and thought I’d take the opportunity to recommend them highly! 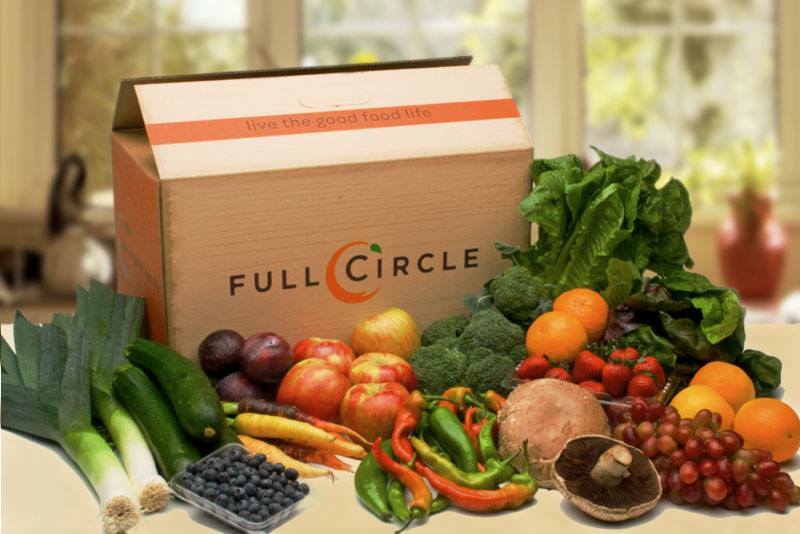 Full Circle was kind enough to give me a six month subscription for free a while back, which was totally amazing. I hadn’t really done the CSA box thing (though Full Circle is apparently not a true CSA, which is ok), and Full Circle was an amazing introduction. If you’re thinking about getting weekly fresh, organic produce delivery and you live in the delivery areas around the SF Bay, try them out. And buy their LivingSocial deal to get a discount!